Holiday Gifts - Michelle’s Craft Basket - Gifts, Favors, Accessories and More! This red purse from Bath and Body Works, contains a full-sized "Red Apple" Body Scrub, Bubble Bath, Body Lotion and Body Mist. 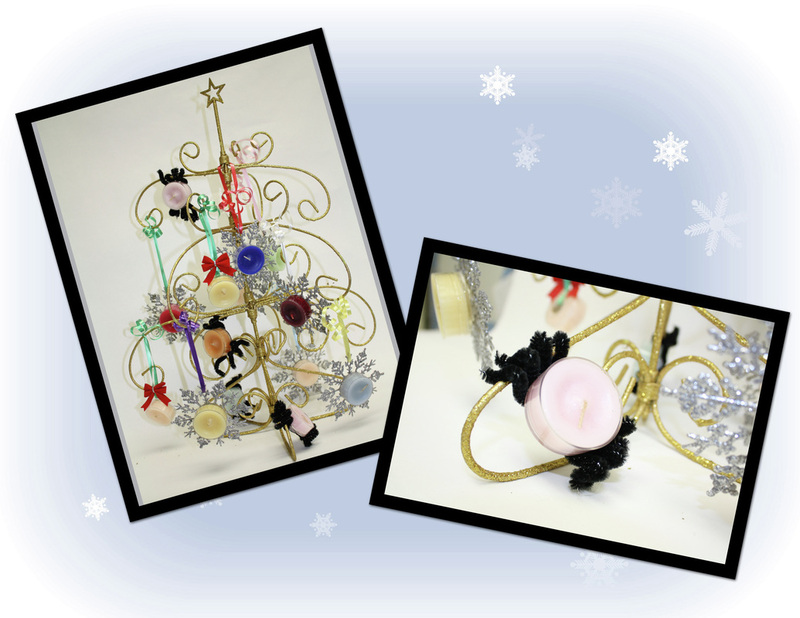 Complete with dangling ornaments, it makes an excellent Christmas gift for a friend or family member! Use the items inside to pamper yourself, and then grab the purse for a night on the town! 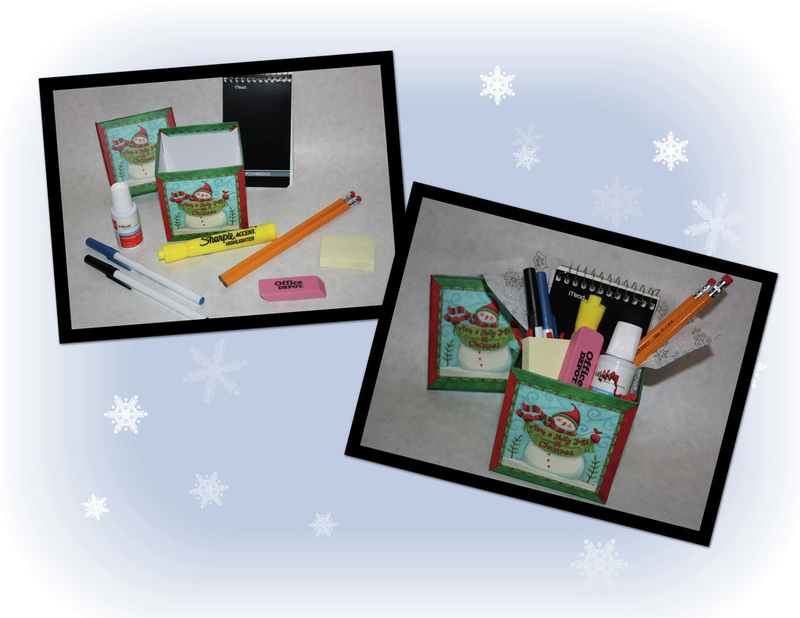 This re-usable Snowman Gift Box contains everything that your student needs for a successful new year! Inside the glittered, Snowflake tissue paper, you will find two #2 pencils, one red and one blue Bic ballpoint pen, one large, yellow Sharpie highlighter, one big eraser, one stack of yellow PostIt notes, one Mead 3" x 5" Spiral Bound Memo Pad and one bottle of White Out. One PartyLite tealight (which burns for approximately 4-6 hours) sits in your tree in the form of a spider! As the story goes.... Santa came down the chiminey and saw that a spider had spun its web all around the tree. Knowing that the children would be sad, he turned the web all sparkly and glittery, which is why we have tinsel in our tree today.